Karen Curnock brings twenty years of teaching experience in secondary education in Williamsville, NY, to the LTrek Training Team. Karen trains and consults teachers in essential leadership skills utilizing the Leadership Survival Skills for Teachers program. She is also serves our team as a curriculum writer and editor. Karen is the new LTrek Coordinator for the Waco I.S.D. Partners in Education program for the 2013-2014 school year. In Williamsville, she was a team leader and served on multiple committees, all while producing and directing an annual variety show. She was the coordinator of the high school transition team. Karen also aligned K-12 curriculum to the NYS Standards as a curriculum writer. She has experience teaching a variety of topics including Inclusion, Academic Intervention Services and advanced level courses. Karen’s has a passion for helping teachers to reach their fullest potential. We know that leadership is an adventure. 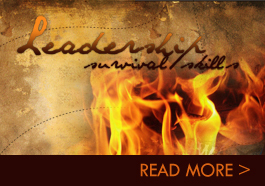 You need leadership skills to survive! Our solutions are practical and skill-based. Find out how we can help you tackle your leadership Everest today. To make payment by credit card, please click on the button below. You will be directed to Paypal where you can then select to pay without a Paypal account. Thank you.